This was really pretty quick – all of the hearts are part of the Simon Says Stamp Stitched Heart Collage die. Supplies: Stamp – Simon Says Stamp, paper – Neenah Classic Crest Solar White, Stampin’ Up! Bermuda Bay, Pool Party, Real Red, ink – VersaFine Satin Red, die – Simon Says Stamp, embossing powder – Filigree Fine Art Powder clear, twine – MarkerPOP. 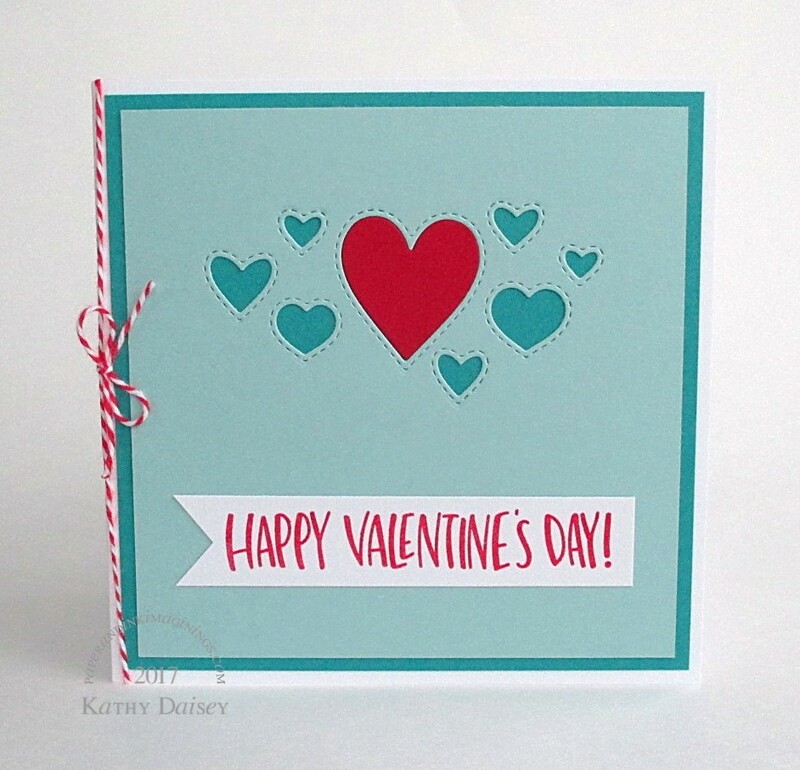 Categories: card, Valentine's Day | Tags: card, MarkerPOP, Neenah, Simon Says Stamp, Stampin' Up!, Tsukineko, VersaFine | Permalink. Aqua and cherry is a favourite colour combination of mine! I love how crisp and neat this looks. Thanks, Gillian! I am working on a collection of cards for someone, trying to be a little more subdued on a few of them!